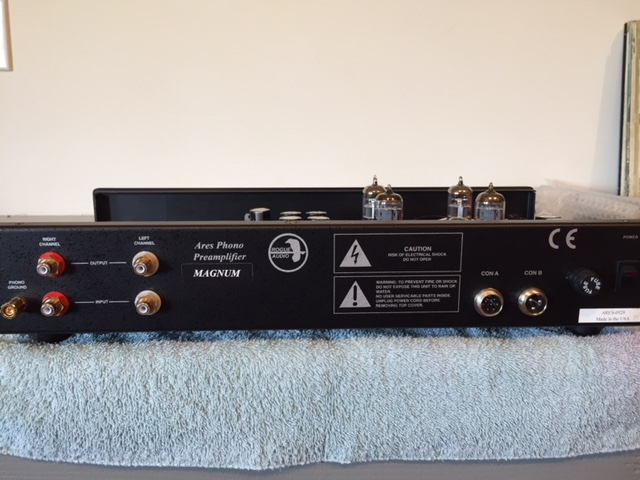 Excellent Condition Rogue Ares Magnum Upgraded Phono Preamp. I can not see one blemish or mark anywhere, exceptionally clean. 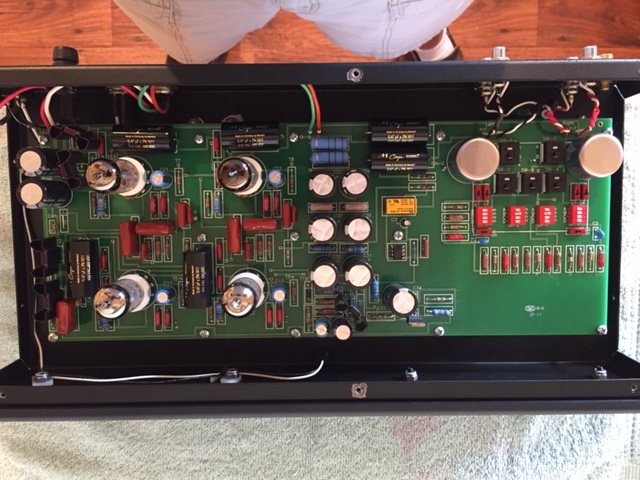 A 9/10 on the Audiogon Scale. 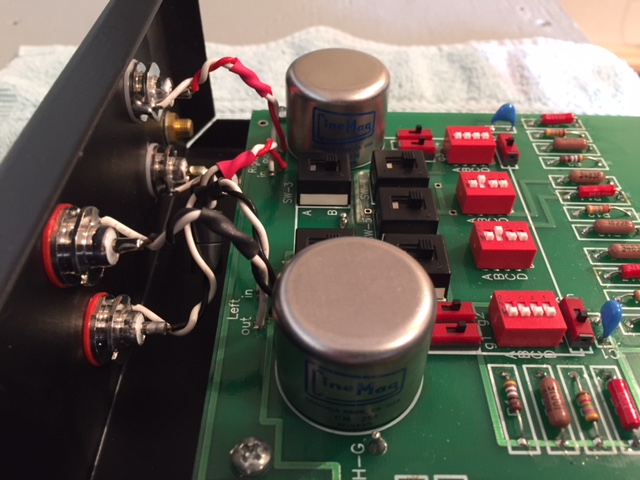 A better step up transformer, "Blue" Cinemag 1254, that provides more gain (about 10dB more) and better sound. The Ares Magnum uses better inner-stage coupling caps. 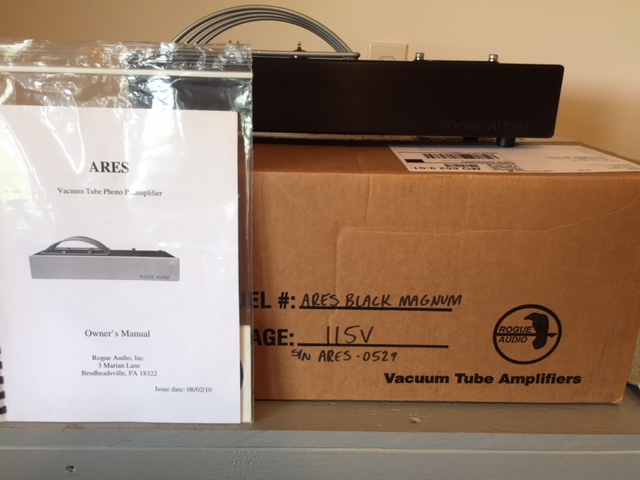 The Ares will drive about any Cartridge on the Market today utilizing it's pure Tube Circuit, accepts 2-12AU7 & 2-12AX7's. 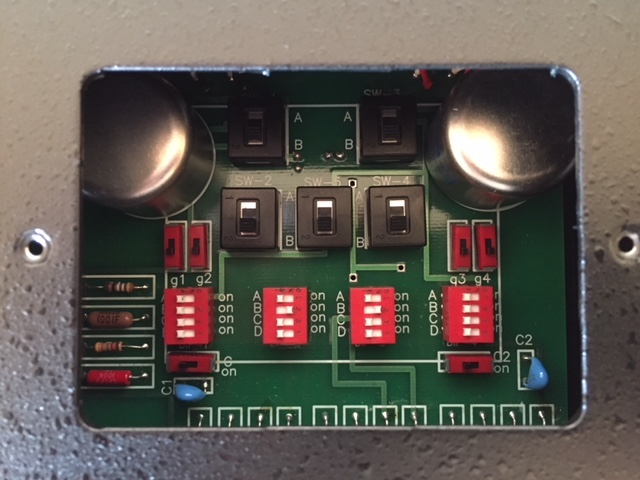 Easy access to Dip Switches, and very adjustable, including a "0" Capacitance Setting. 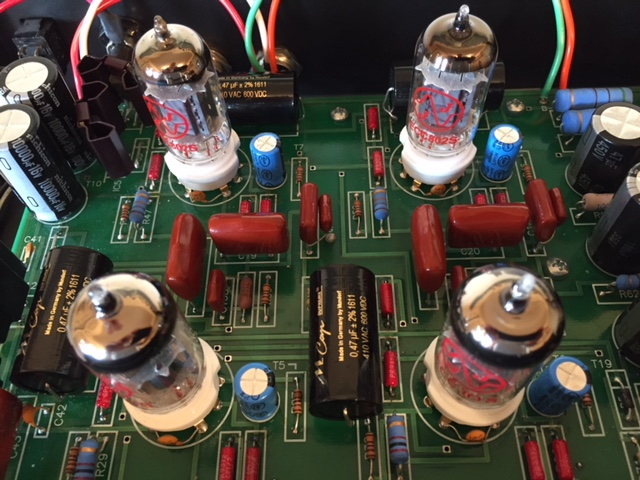 Comes fitted with a like new set JJ Tubes. 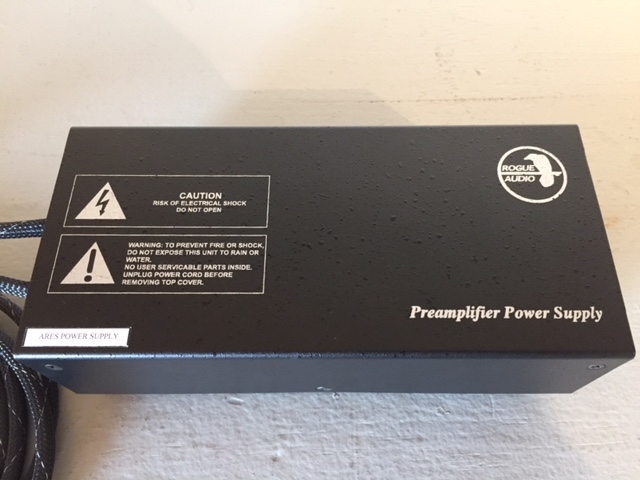 The External Power Supply makes for a very Quiet Stage. UPS Shipping at cost, p.m. me for a quote. 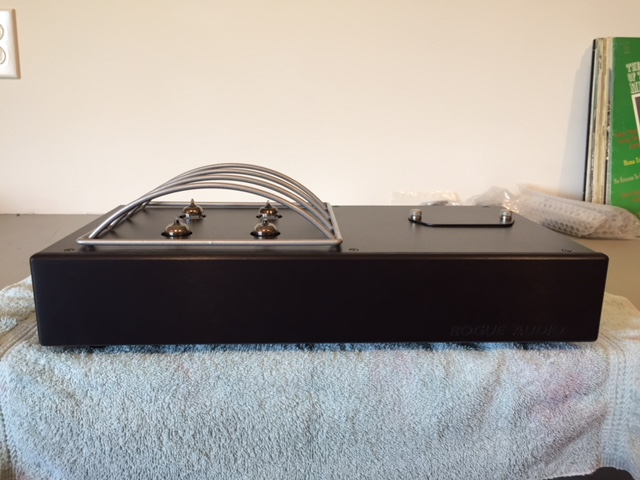 Very nice phono preamp! GLWTS Mike! Bump, with new price $1695. Mods, can you please delete this or mark as Sold? Thank you! No, a fellow over at the Steve Hoffman Forum bought it. Larry's still riding along just fine!